Growing up in Zimbabwe, the country seemed like a magical place, filled with hope and possibility. There was a sense that you could be anything that you wanted, that you could work hard and turn yourself into whatever you wanted to be. That – if anything – we were a blessed people. Harare, Zimbabwe – The government of Zimbabwe and Apple are set to collaborate on a project that will deliver solar iPads to Zimbabwean schools, according to a recent announcement by the country’s Education, Sport, Arts and Culture minister, David Coltart. If put into effect, this development will certainly be a game changer for schools in Zimbabwe, many of which are rural based and lack appropriate tools and infrastructure to advance education. The programme will certainly reduce the digital divide between rural and urban areas and drastically improve access to teaching aids and tools. Zimbabwe’s education system, once among the best in Africa, has suffered from a detrimental decline in public funding in conjunction with hyperinflation and political unrest over the past decade. UNICEF state that 94 percent of rural schools, serving the majority of the population were closed in 2009 and 66 of 70 schools abandoned. The attendance rates plummeted from over 80 percent to 20 percent. Efforts are underway to resuscitate the educational system and Apple’s involvement will definitely be revolutionary to say the least. Coltart said that he met with Apple executives in Paris, working on a new ‘School Box’ which will use solar power and micro projectors to help bring iPad teach aids to some of Zimbabwe’s poorest schools. Announcing the news on his Facebook, Coltart said that the solar iPads would bring teaching aids to scholars in rural and remote areas. “Great meeting with Apple today in Paris – unveiled a fascinating new “School Box” which will take iPads to the most remote rural schools – using solar power and micro projectors we will be able to bring computerised teaching aids to the poorest schools. I hope we will get the first pilot programmes started early next year. I am very excited that Zimbabwe is collaborating with Apple in this ground breaking use of technology to advance education in the most remote schools. If we can get it to work in Zimbabwe I am sure it will spread to poor schools throughout Africa – and beyond,” he said. 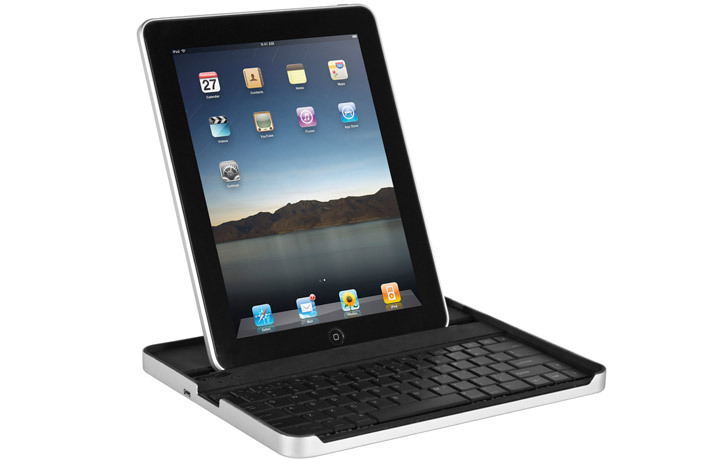 Students will be able to use the iPad to write reports, research topics, read electronic books and use them to study. With the micro projector, iPads can be used to share presentations also. The device will also let users browse the Web, send e-mail, share photos, watch videos, listen to music, play games and read e-Books. “This is amazing and just what our schools need. So much can be done with access to computers, it completely changes the way you teach! Great news,” said Rebekah Marks on Coltart’s Facebook wall. The project could be the start of a sustained effort by Apple to bring computers to developing countries but supplying tablet devices that are portable, have good battery life and can be shared amongst a group of students. Pricing of the device will obviously be a major consideration in making sure that Zimbabwean children are not disadvantaged when it comes to accessing computing technologies. In spite of the adoption of the Universal Declaration of Human Rights by the United Nations 60 years ago, governments throughout the world continue to violate human rights with impunity. Amnesty International reports that restless, angry and disillusioned, people will not remain silent if the gap continues to widen between their demand for equality and their governments’ denial. As it is, governments have exhibited more interest in the abuse of power or in the pursuit of political self-interest, than in respecting the rights of those they lead. US, the world’s most powerful state, has distinguished itself in recent years through a disregard of human rights thereby setting a bad example for other countries. In fact, US’ disregard for human rights has resulted in the emergence of both leaders and movements in many parts of the world that abuse human rights. “The human rights flashpoints in Darfur, Zimbabwe, Gaza, Iraq and Myanmar demand immediate action,” said Irene Khan, Secretary General of Amnesty International. If a Martian landed in Harare, Zimbabwe’s capital today, he would certainly be taken aback by the length and number of human queues. Like garden worms, the human queues twist and turn throughout the city, blocking traffic as people wait to get a chance to get money from their bank accounts. The queues start early in the morning and last well into the night. As long as people think there is a faint chance to get a hold of their cash, they remain huddled in the queue. If anything, human queues have become an additional indicator of the collapse of the Zimbabwean nation state, in particular, the financial system.